The Essteele Per Sempre 26cm Open French Skillet combines premium quality materials with world renowned Italian engineering to create beautiful, chef-choice cookware. The thick, fast-heating core allows the pan to heat the base and all the way up the sides simultaneously, giving this cookware perfect heat control and optimum performance. This 26cm skillet is perfect for side dishes and meals for two. 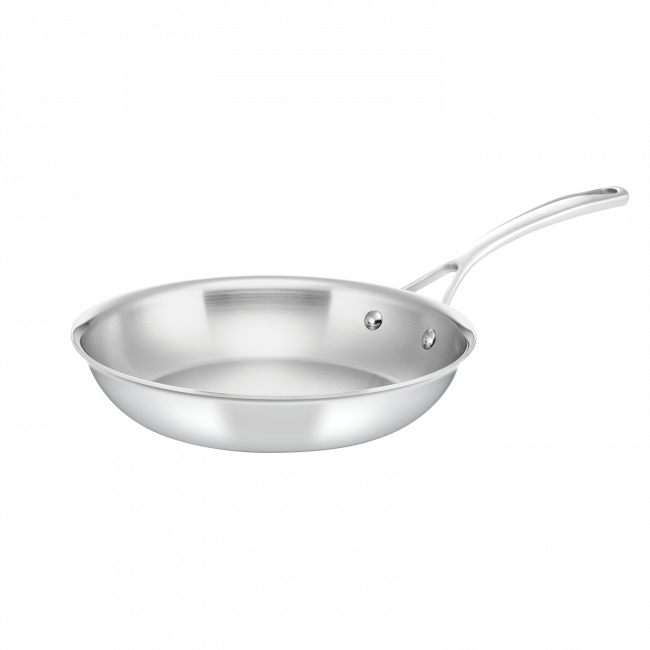 Essteele Per Sempre 26cm Stainless Steel Skillet is rated 5.0 out of 5 by 5. Rated 5 out of 5 by T0rn from Does the job well I bought this as a Christmas gift for my mum as she was complaining that her old frypan was losing its non-stick ability and was happy that she got a replacement. The pan is great quality, well made and sturdy, the only down-side being I wish that it was sold with the lid included. Rated 5 out of 5 by Shareee from Great Pan! I love this pan, it works so well, doesn't stick and looks absolutely beautiful. Rated 5 out of 5 by Xxxhotfuzz from Slick to work with Thanks t was bought for me but he kept it and it’s a dream! Rated 5 out of 5 by Kerry73 from Love these pans! Had these pans for three weeks and as an aspiring home chef, I love them. Heat distribution is perfect and they work great with my induction cooktop. Love how easy the clean up is too! They even look fantastic.